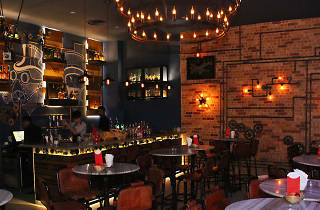 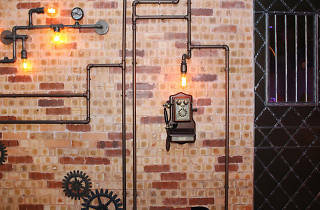 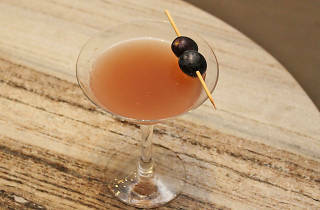 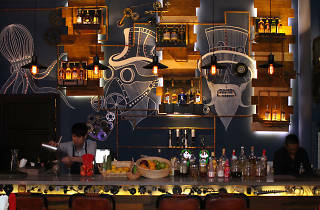 Hugo Steampunk is a specialty themed bar, whose owners drew inspiration from ‘Hugo’ the film. 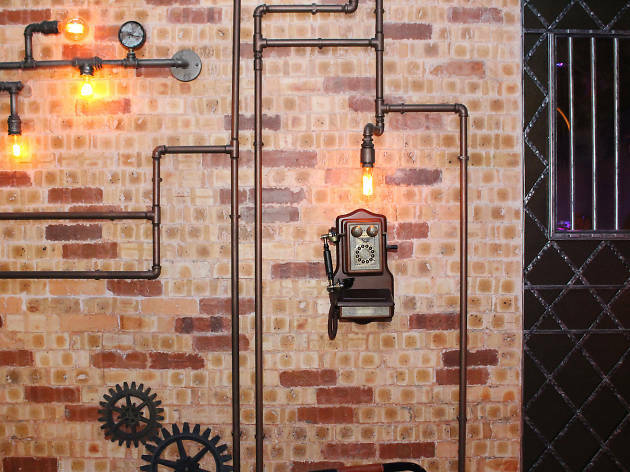 The decorations were custom-made especially for the lounge, and include exposed copper pipes, gears and brass doors, along with hanging bulbs. 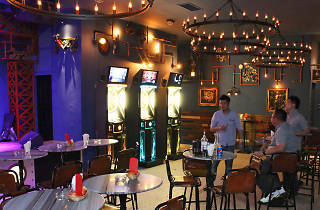 Upon entering, you’ll see a DJ console on your left and just next to it, a stage for the in-house band. 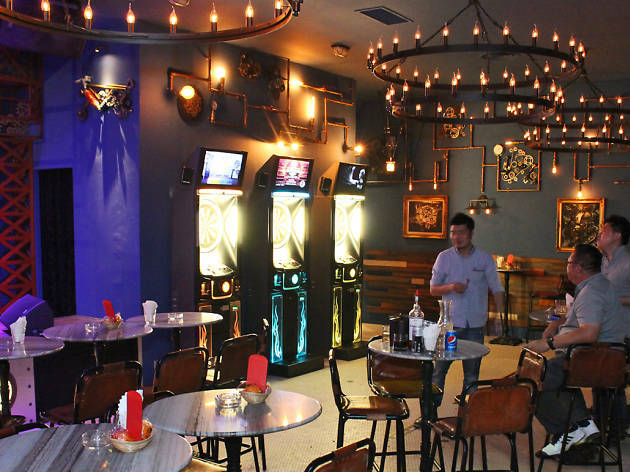 Further up there’s a row of electronic dart boards, and the bar is tucked in the opposite corner. 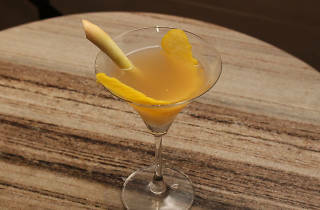 The cocktails here are created by bartender Joe with the lounge’s theme in mind. 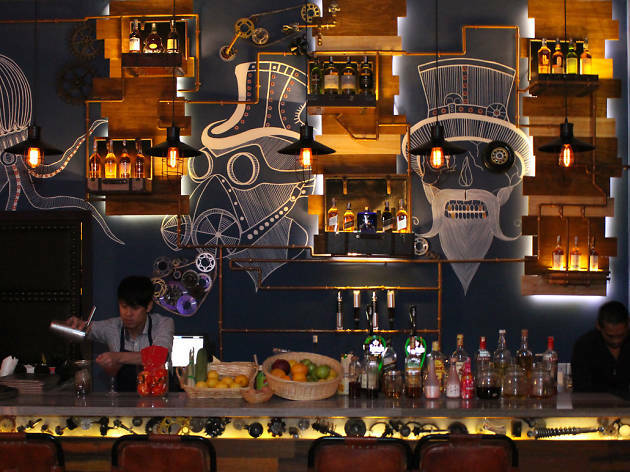 Think cocktails with names like Wild Wild West, Frankenstein and the housenamed Steampunk. 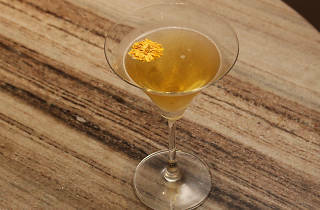 One thing Joe wants focus on is the use of Asian flavours in his cocktails. 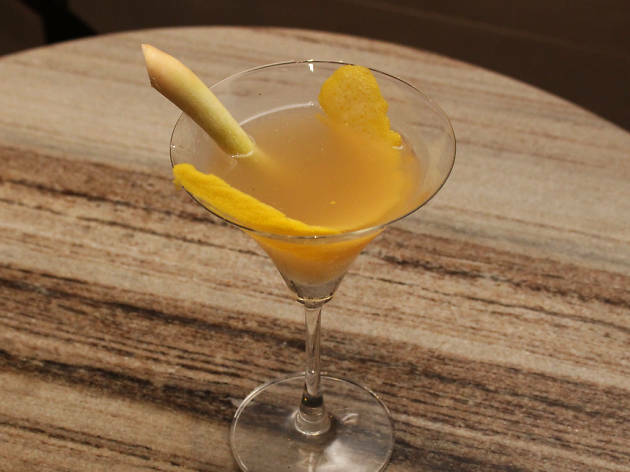 For instance, the Paddy Field features Joe’s self-made lemongrass-infused vodka. 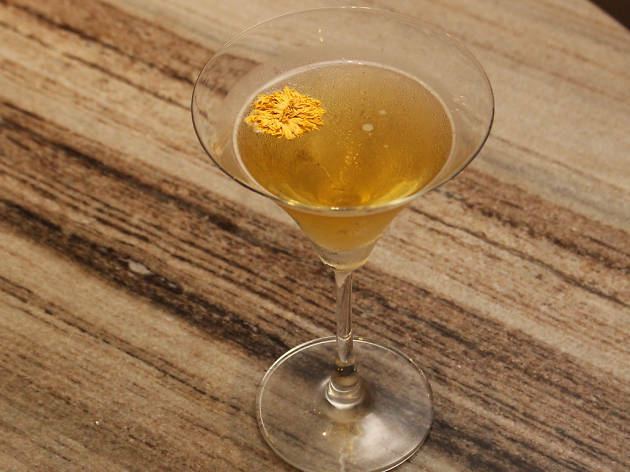 Other drinks like Chrysanthemum Martini uses a chrysanthemum-infused gin, and Mr Bean has red beans cooked down in winter melon sugar. 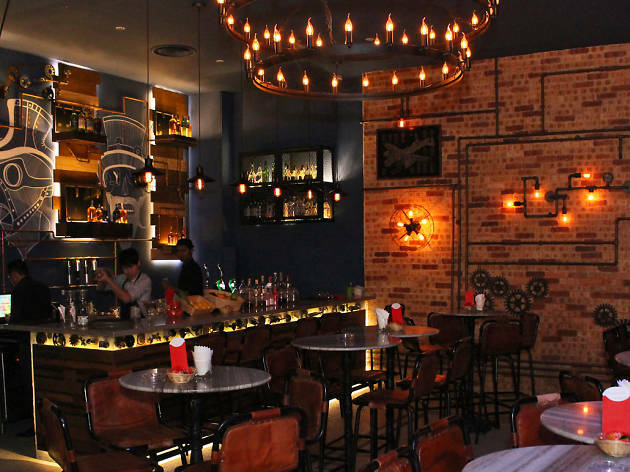 If cocktails aren’t for you, Hugo Steampunk Premium Lounge also carries an array of whiskies, including a Taiwanese single malt, wine and beers. 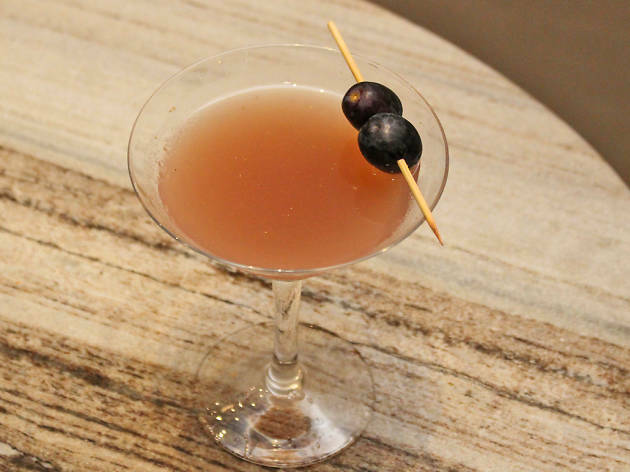 Mocktails are currently not on the menu but if you do have a special request, Joe will gladly create something on the spot.